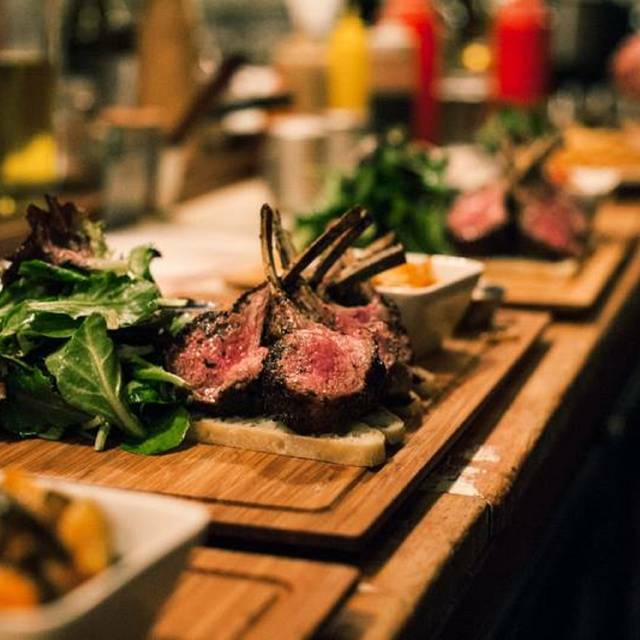 You must make reservations at least 5 minutes in advance of the time at Jules Bistro- Queen West. The 501 street car travelling west stops at our door step . The 501 street car travelling east stops on the south side at the corner of Shaw. Jules Bistro is a small French restaurant in the heart of Queen West right around the corner fromTrinity-Bell Woods. 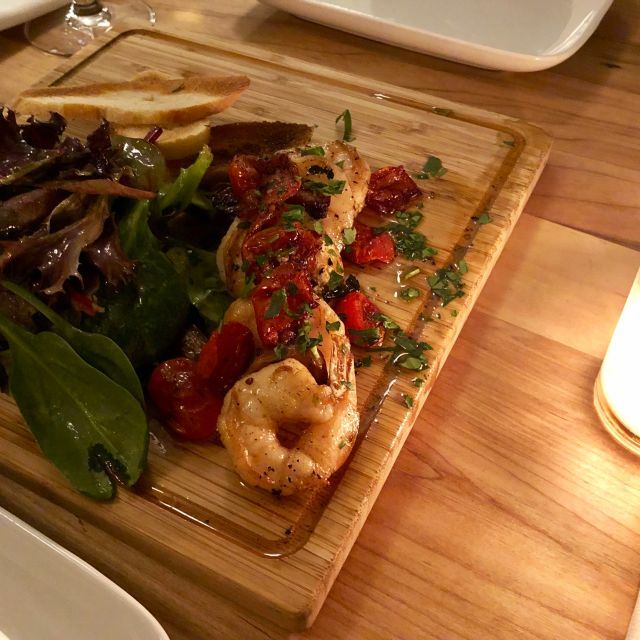 Our mission is simple; we provide high quality, home-style southern French cuisine at reasonable prices, great wine sourced from all over France and swift and reliable service whether you're in for the evening or just a quick espresso. Whether you've traveled from afar or are coming from just around the corner, we look forward to welcoming you into our home. À bientôt! 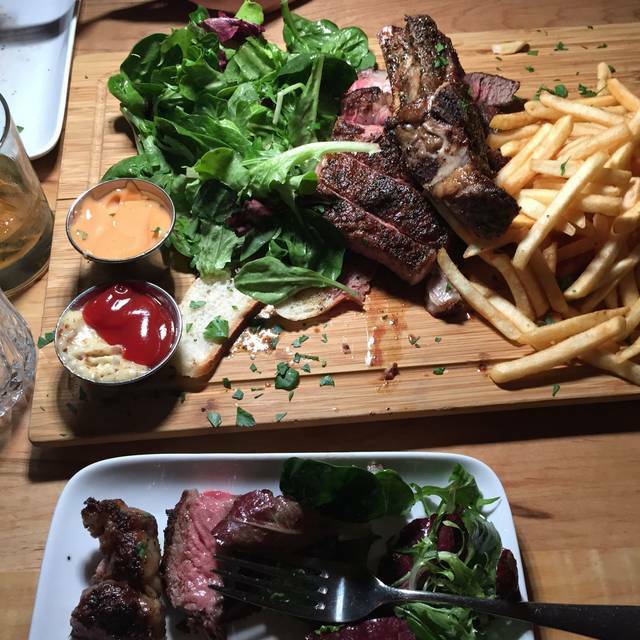 We're excited to announce a great reason to visit us on Tuesday's-1/2 price Côte de Boeuf. We look forward to hosting you! Really great night! Grateful for the delicious food - steaks to die for and vegan meal by special request thank you! Service was great. Bit noisy. Suggest you let guests know to order prix fix desserts early as it was a surprise and disappointing to hear you had run out. Food was amazing! Service was friendly and efficient. We had cote de beurf and lamb chops...delicious. The desserts looked amazing but we were too full to order. Highly recommend!! We came here on a Monday night and it was busy! The host was super friendly and our server was very nice! We opted for the prix fixe menu and tried the Chevre Chaud, Steak Frites and Saumon Grille and Creme Brulee and Chocolate Mousse for dessert. The food was really good although the dessert was a bit slow to come out. It is probably because it is so busy in there, even for a Monday night. Would definitely come back again to try the other options! My partner and I absolutely love Jules Bistro. The food and service is always amazing. Service was quick and food was delicious. Highly recommend the spicy shrimp appetizer! As always the steak frites is excellent. However, caution to those ordering medium-rare as I find it was more rare. Prix fixe has generous portions. Spectacular meal just devine. Lovely people who work there make you feel right at home also. scrumptious French Bistro food. Food was great, we all enjoyed our meals. Service was good. We went early and as the place filled up it grew quite noisy. That would be our only complaint. The best french bistro in this city. The service is incredible, the food is homey and tasty and absolutely delicious. If you haven’t tried this one, you are missing out on authentic, taste-bud invigorating, fresh and always tasty french food! Service and food were excellent. The noise level made it impossible to hear my dinner date. We took our dessert to go. This was suggested as a romantic restaurant, it was not. I would only go back on a quiet night. The food was excellent and we were very well cared for at the bar by Stevie and David. Thank you for a stellar night out! Brought my kids to dinner. We had a fabulous time. Thank you. Will be back. We had a group of six of which not one person had anything adverse to say about our visit other than the noise level. We will d definitely return! It was a wonderful experience. 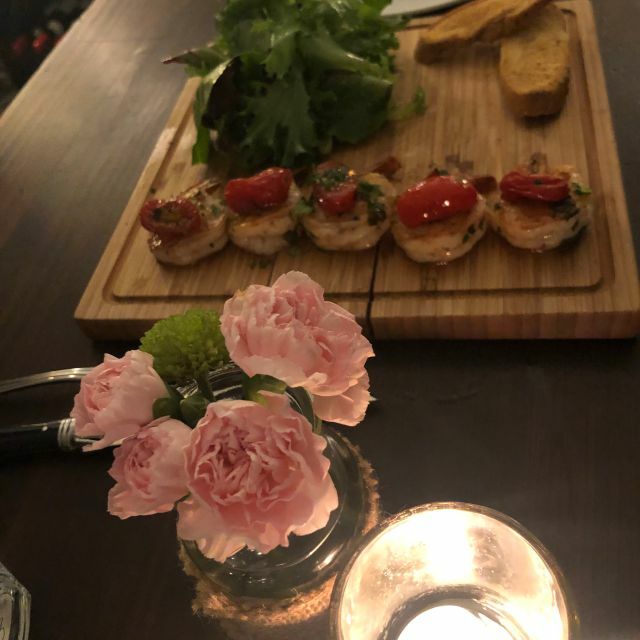 I've been wanting to go to Jules Bistro since 2 years ago but we had poor service at the Spadina and Adelaide location the moment we walked in and my partner refused to eat there. He was pleasantly surprised and enjoyed the food at the Queen st location. Our server/bartender was an absolute pleasure and he's so good with people... undeniable charisma. I'll definitely be recommending and coming again. Thank you! Food was okay, not great given the price. Not crowded on arrival but music so loud couldn't hear each other talk though the staff seemed to be enjoying the party. No one greeted us at the door. Ask the bartender about our reservation and he took us to our table. Apparently the owner saw us come in but he was busy talking to a group of friends that just arrived. Server seemed unsure of himself and was soft-spoken. Couldn't hear a thing he was saying. Kitchen seemed organized as meal came on time. Offered dessert but no coffee, had to ask for it. By this time, the restaurant was busy and so loud we had to leave. Given the number of dining options in Toronto, this would not be my first pick. It's always a lovely time out at Jules. The food, the staff, the overall atmosphere. I always recommend Jules. Exemplary service matched by delicious food; food that you can watch being made before your eyes while enjoying a soupçon of Pinot Noir. Fantastic flavours and ample portions. I absolutely cannot wait to come back. Merci bien! Just disappointed in making a reservation and having to wait almost 30 minutes. Always happy with the level of service and quality of food when we visit. From the moment we arrived, to the moment we left, the hospitality from everyone we encountered was exceptional. That's been a consistent theme whenever I come! A+ service, A+ Food A+ Cocktails! With so many restaurants on Queen West I feel this is a little hidden gem! Everything was exceptional from the moment we arrived. 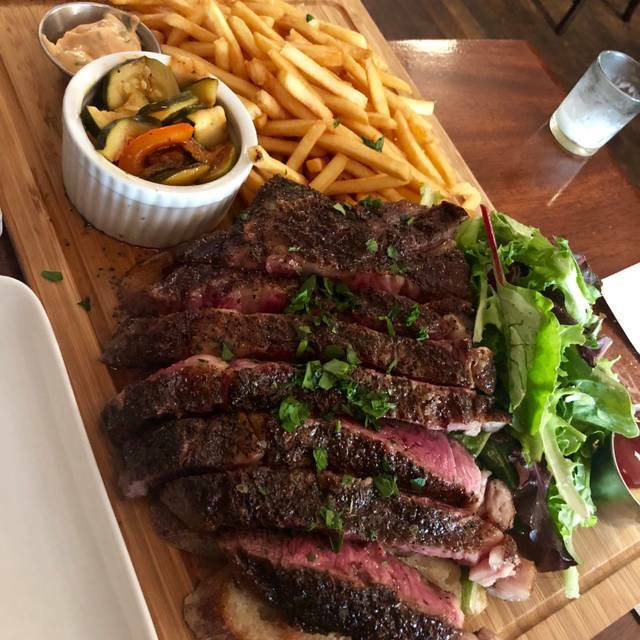 The Steak frites - delicious. 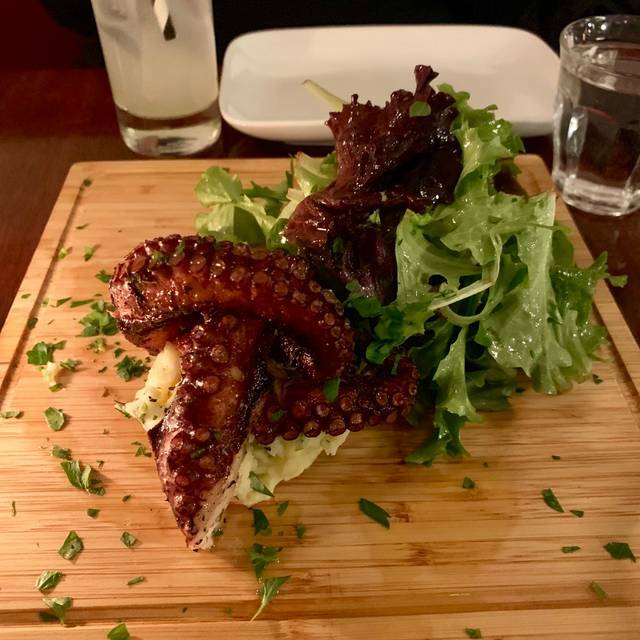 the Octopus was cooked so perfectly! The cocktails definitely packed a punch of flavour! This is a must go! Great place for relaxed dinner with friends or family. Amazing first time experience at Jules Bistro. The moment we got to the bistro we felt right at home. The owner himself took our jackets for us and that set the tone for the entire evening. Food and service was top notch which made my girlfriends birthday evening one to remember! Excellent meal. Small space but the noise was level was perfect. Tables are very cozy but it worked. Meal was prompt, tasted amazing and presented well. 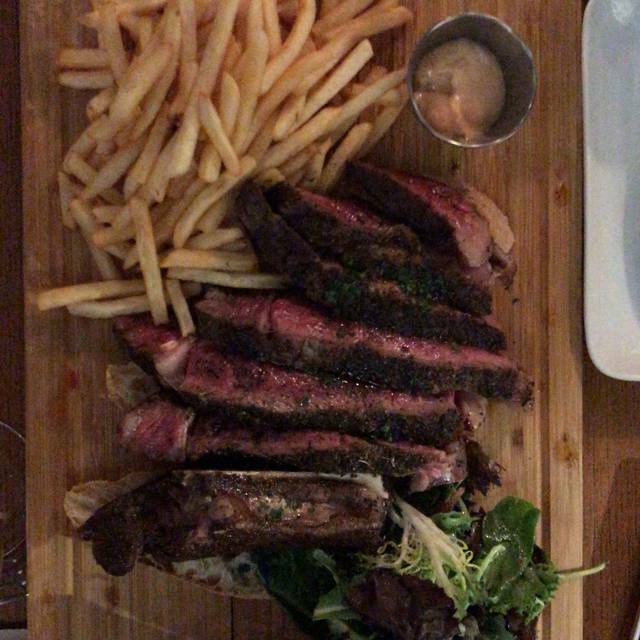 Wish there was another option instead of fries (we had the Cote de boeuf special on a Tuesday) regardless the fries tasted nice. The service is the best part of the experience. Our waitress was very friendly, visited often and did not hesitate to cater to any need we had. Would go back 100 times. Perfect French restaurant! Good experience! Go! Dee Lish! Our go to for great food and service every time! Lovely gem of a place! The food is good, classic and simple but delicious and nicely prepared. The service was excellent, Anne took great care of us. It is extremely loud in there, so if you are looking for a quiet romantic evening or a place to converse with friends be prepared to get close to be heard. Great find and we will definitely be back! Great ambience...food is absolutely delicious..great value...already thinking about going back next wknd! Seated at the bar, it was a little drafty by the door now that it's winter. They were taking late seatings for dinner which is great for night owls. A little on the pricey side but it shows in the quality of the food... yum! you are sure to get your beef done perfectly! 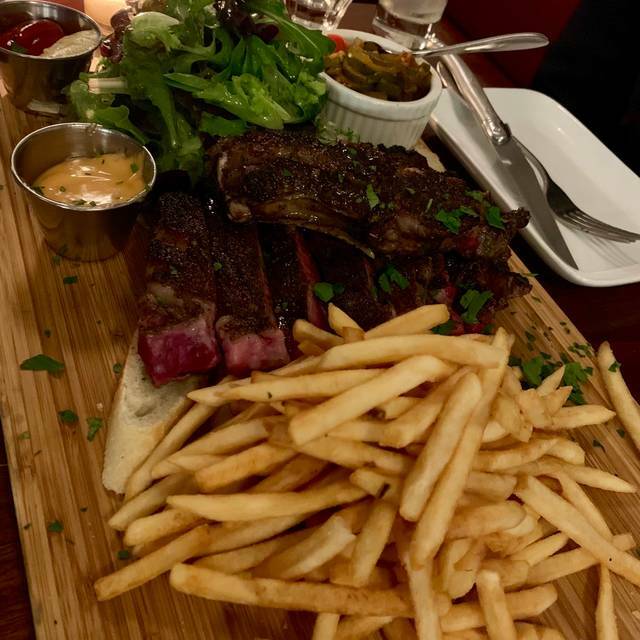 The cote de boeuf is outstanding! 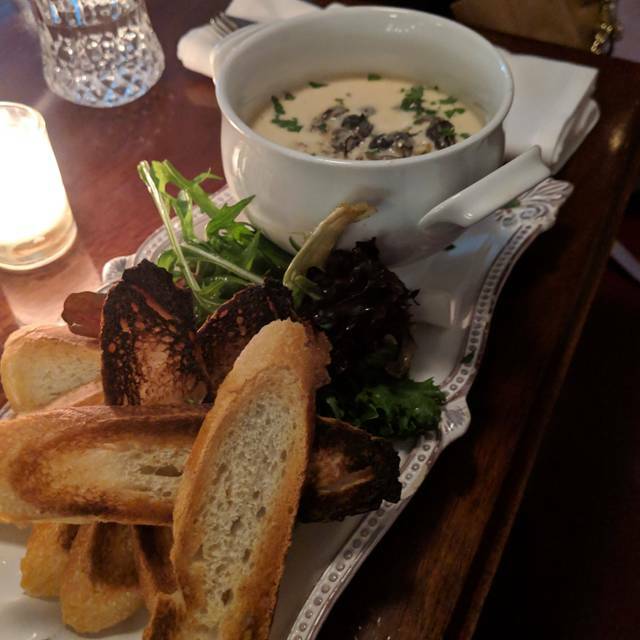 The escargots were some of the most tender i have ever had. Also great coffee (even the decaf tasted delicious) & lovely desserts. Jules Bistro was the perfect spot to celebrate my wife submitting her final manuscript to her publisher. Amazing cocktails, food, wine, and service!